Karnataka has a number of beautiful beaches along its 320-km coastline. Someshwara beach is located near Mangalore, and it is a pristine beach famous for its view of sunsets. Someshwara beach is located in Ullal at the confluence of the Netravati River and the Arabian Sea. The golden sands, greenery along route from Mangalore, and the coconut palms along the beach make this beach a must-visit destination on the traveller’s itinerary. 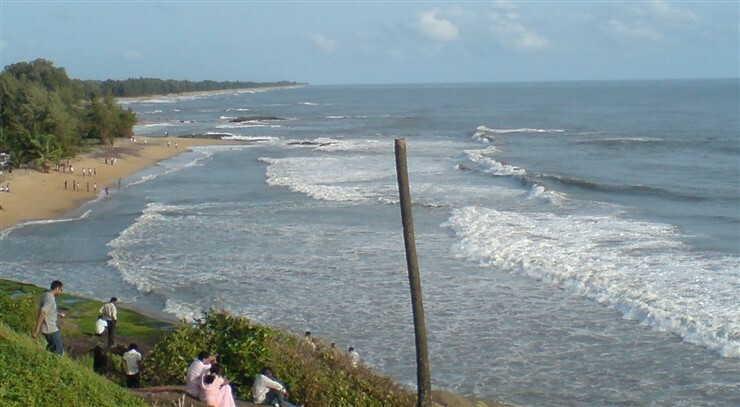 Someshwara beach is located 9 km from Mangalore city. The beach is close to Byndoor and Ullal towns. Mangalore is well connected to the rest of India by road and rail. The nearest airport to Someshwara beach is Mangalore. Mangalore has a variety of hotels to suit every budget, and accommodation can be arranged at short notice. Mangalore has a hot, humid climate the year around and receives heavy rains for 4 months of the year. The best time to visit is November to February when the humidity is at tolerable levels. Buses ply at regular intervals from Mangalore, Ullal, and Byndoor to the Someshwara Bus Stand. The beach is about half a kilometre from Someshwara bus stand. Autorickshaws are available from these towns and from Mangalore to Someshwara beach. The access road to the beach is rocky and it is advisable to walk down to the beach. The north end of Someshwara beach has the ancient Someshwara Temple. The temple is believed to have been constructed by Queen Abakka Devi of Ullal. A natural wonder is in the form of the NagaTeertha, a pond beside the beach temple with a perennial underground source of sweet freshwater. The tourist facilities at this beach are virtually non- existent. Tourists travelling in a group or as a family are advised to carry drinking water and food as there are no shops along the beach. Travellers to Someshwara beach can travel moderate distances to see the best beaches in Kundapur. Ullal beach, Tannirbhavi beach, Suratkhal beach, and Uchil offer views of the sea and sand to rival those at Someshwara beach. Mangalore can be used as a base for excursions to Udupi, Malpe, Kollur, and Kukke Subramanya.